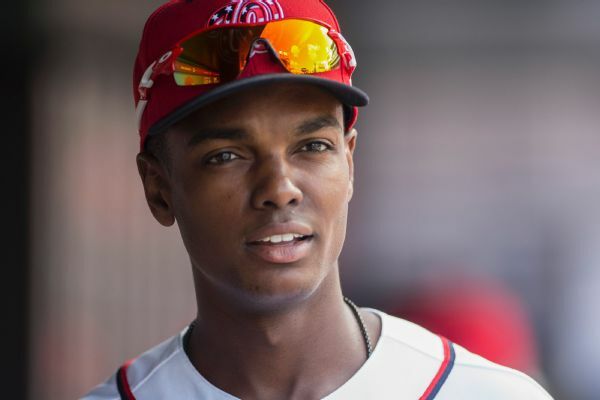 Adams was pulled from Saturday's win over the Pirates after rolling his ankle, Mark Zuckerman of MASN Sports reports. 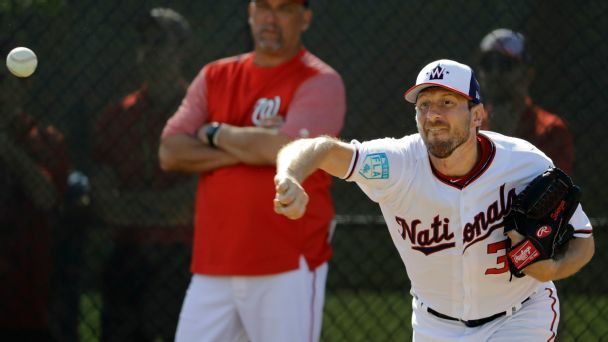 The Nationals have had plenty of time to get used to the idea of playing without Bryce Harper -- and it shows at their camp in Florida. 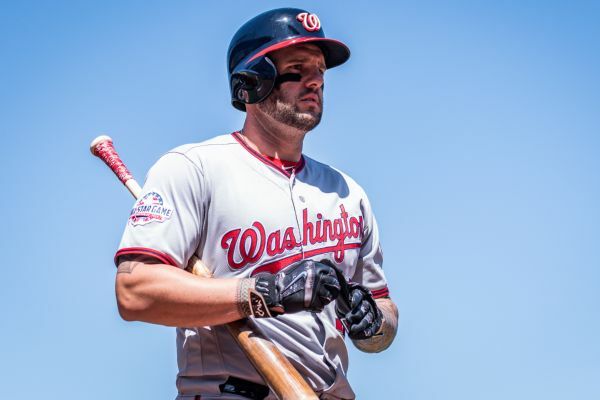 The Nationals have finalized a $4 million, one-year deal with first baseman Matt Adams that includes a mutual option for 2020. 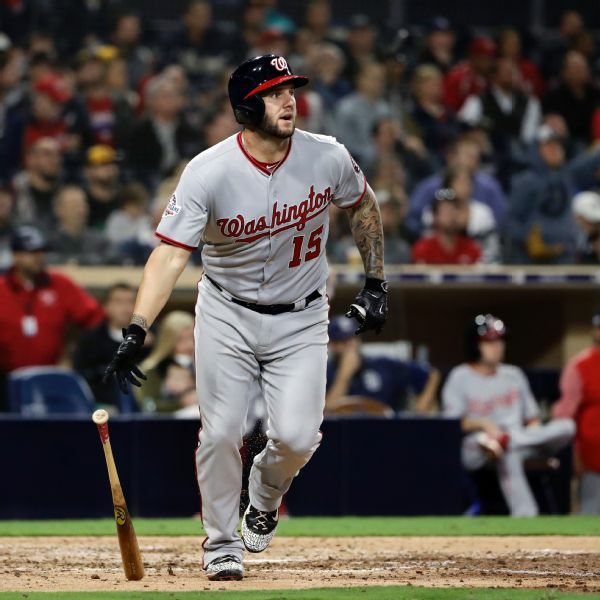 The Nationals stayed busy this offseason by bringing back first baseman Matt Adams on a one-year deal, according to reports. 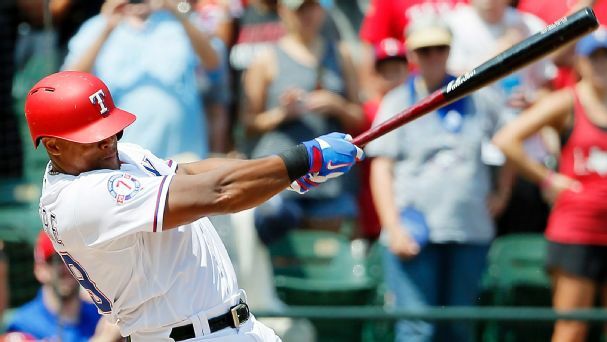 Adams hit 18 home runs in 94 games for the Nats last season before going to St. Louis on a waiver claim in August. 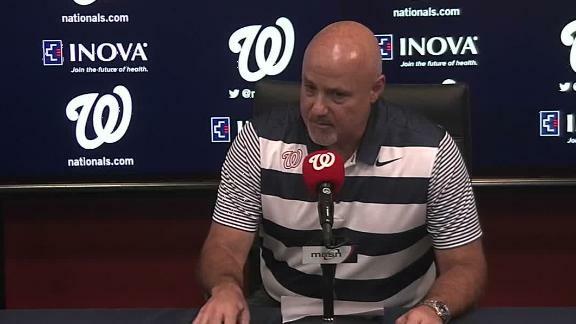 Nationals general manager Mike Rizzo explains the team's decision to trade Daniel Murphy and Matt Adams. Don't believe GM Mike Rizzo. 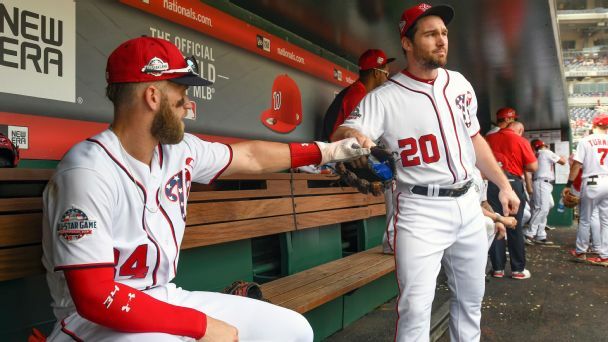 D.C. declared the end of its playoff push on Tuesday by dealing Daniel Murphy to the Cubs and Matt Adams to the Cardinals. 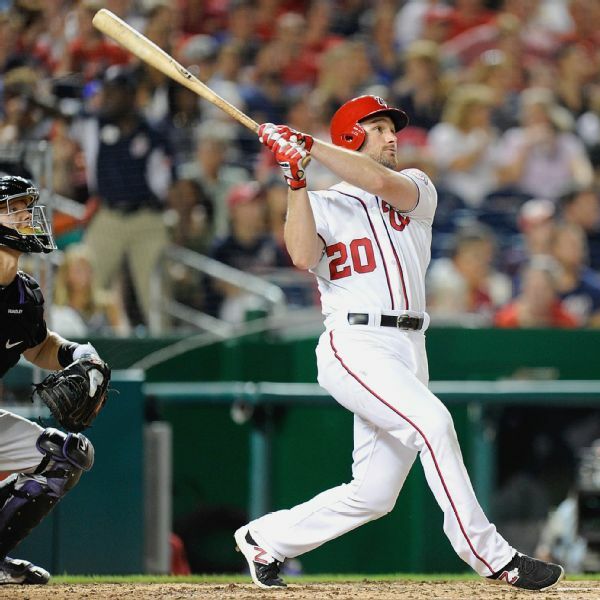 The Nationals traded two sluggers on Tuesday, sending Daniel Murphy to the Cubs and Matt Adams to the Cardinals. 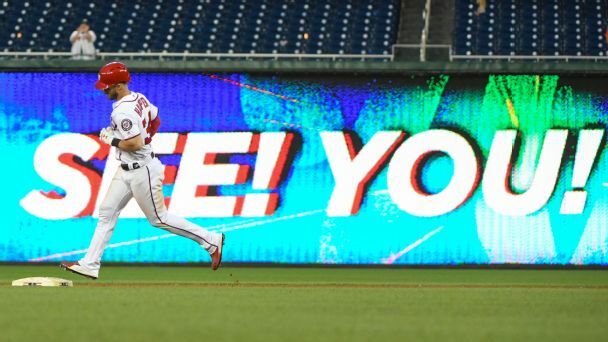 Bryce Harper isn't going anywhere, but are the Nats? 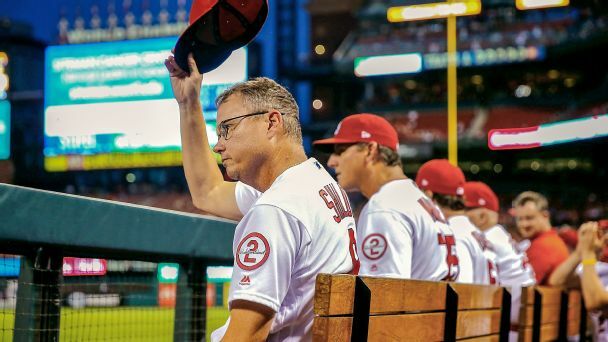 In announcing he wouldn't trade his biggest star, Washington GM Mike Rizzo said he believed in his team. Should you?